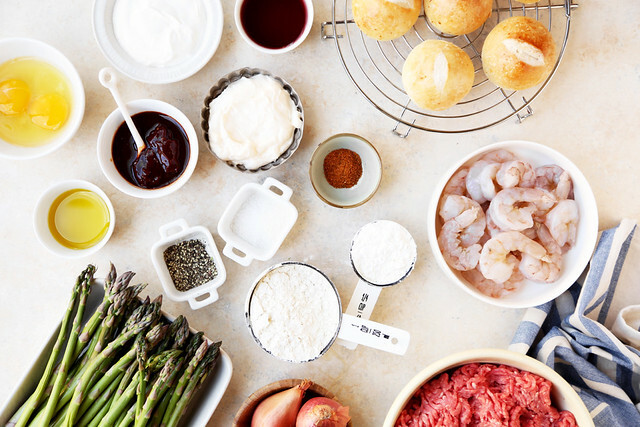 Surf ‘n’ Turf Sliders + Cookbook Announcement! Before we dive right into these colossal over-the-top sliders, I think it’s important to talk about some very exciting news that I’m finally able to share with you. I’ve been keeping this big secret from you for a while now, dropping a few hints here and there whenever possible. Some of you might’ve guessed it by now, or heard it through the grapevine, but I wanted to wait until the right moment to announce it. I just finished writing and photographing my very first cookbook. I’m in the last stages of the editing process and it’s almost ready for y’all to see. Almost. It’s been an extremely long two years in the making, and the entire process has been exciting, tiring, overwhelming, and nerve-wracking all at the same time. It’s hard to explain because part of me wanted to tell everyone right from the get go, but then another part of me was wary because I felt like it was too good to be true. Like I’d eventually wake up to the realization that I’d just dreamt it all. I kept rationalizing my decision to stay quiet by telling myself, “I’ll wait a bit longer until it’s actually official, just in case something changed.” Well, it’s finally official, official and at this point I’m more than certain it’s a reality and my publisher isn’t going to back out. Cue excitement here. This cookbook is dedicated to my all-time favorite food; SLIDERS! 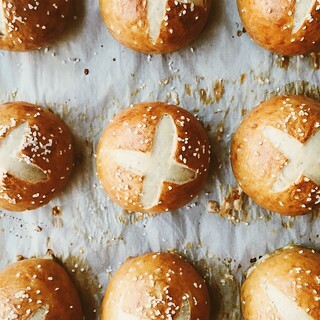 All the sliders you could possibly think of, and then some. It’s called The Slider Effect and it will be published by Andrews McMeel, the same publishing house who puts out all of Chef John Besh’s books and the Calvin and Hobbes books (talk about my childhood dreams come true). You might remember that on more than one occasion, I’ve referred to myself as King of the Sliders, sure it’s self-appointed, but I feel like it’s finally come true. The Slider Effect will feature four chapters on sliders; meat, poultry, seafood and vegetarian. There’s something for everyone, so have no fear. There’s also a chapter on homemade buns and rolls, and another chapter on homemade sauces and condiments for those of us that want to rule the world and impress our family and friends. The book is set to be released in June 2016, so start the countdown now. And while it might seem like it’s still so far away, look on the bright side, at least you didn’t have to wait as long as I did. I’ve been waiting forever. Seriously though, it’s been forever and a day. But I promise it’s worth the wait. The book is beautiful with a capital B, and I’m not just saying this because it’s my book. My agent, editor and designer have made this book look like a dream. A dream I tell you. I’ll keep you posted with all of the updates, and as soon as it goes up for online preorder, you better believe that you’ll be the first to know! There’s still so much to share with you all, and as we ride this wave together I’m ever so thankful to have you there alongside me. I’ll finally be able to get back to my normal schedule and start posting here more often again. Thanks for being so understanding this past year while I’ve posted sparingly on the site. Turns out, it’s hard to juggle a blog, other misc. work and a cookbook. Who would’ve thought? I’ve created a hashtag (#TheSliderEffect) on instagram and tagged the sneak peek photos I’ve already posted on there. It should all make sense now. Be sure to follow the tag closely for updates and more sneak peeks leading up to the book’s release. Let’s countdown together friends, and make this the best summer cookbook of the year! 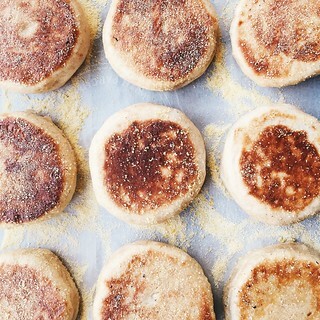 Sliders really are magical. They bring people together. Okay, enough of my babbling. Sorry for the long post, I just had a lot to share. In honor of this special occasion, I decided to make these Surf ‘n’ Turf Sliders. While these aren’t in the book (they didn’t make the cut), they are however, an example of what you can expect from my book. They’re not all as labor intensive, I promise. Most of them are rather easy, but they’re all definitely achievable. I hope you’re as excited as I am! Unfortunately Seafood Week has come to an end, but let’s not start crying and throwing things just yet (you can save that for when you’ve finished reading this post). All good things must come to an end. Lucky for us all, I managed to save the best recipe for last. In case you’re just joining us for the first time this week, I’ll refresh your memory. We kicked things off with my childhood enemy, but now all-time favorite fish meal, Crunchy Fish Sticks with homemade tartar sauce. It was all of our breaded and fried seafood dreams come true. Then when we were beginning to get restless with the week we were presented with Roasted Shrimp Cocktail, accompanied by not one but two sauces for dipping and dunking. Homemade cocktail sauce and a Cajun remoulade. I had a competition with myself to see just how many warm shrimp I could eat in one sitting. I wont disclose the exact amount because it’s embarrassing, but as it turns out, I can eat a lot of shrimp. Like a lot of shrimp. Let’s turn our attention back to the end of Seafood Week, though. Back to being sad. Back to throwing things. 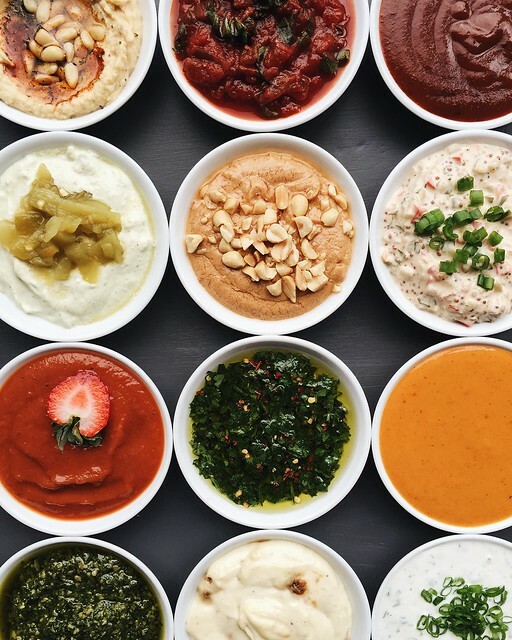 We’re rounding out the week with a delicious recipe that although tiny in size, is packed with so much flavor. Like jump kick you in the face with flavor. 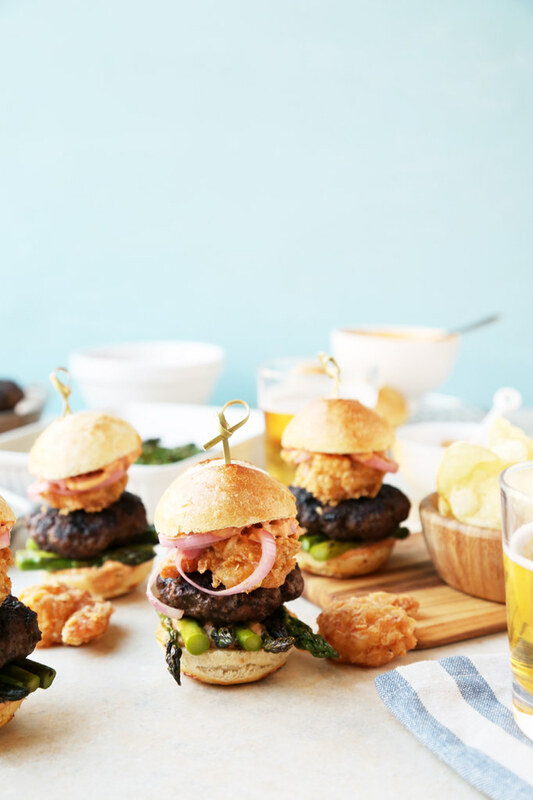 These Seafood Sliders are the perfect Friday night meal. In case you weren’t already aware of it, I have an unhealthy obsession with sliders. They’re my thing. I feel like if I could, I totally would’ve invented the slider. Unfortunately for me, I didn’t invent them. Someone beat me to it. I’m always one step behind. I’ll have to settle for being The Slider King of the World, however. You might ask where I get off calling myself that. Allow me to explain. My past slider incarnations have been some of the best posts/recipes on this site. Pot Roast Sliders, Fried Green Tomato and Shrimp Sliders, BLT Biscuit Sliders, Baked Potato Sliders and Steak and White Cheddar Panini Sliders. I pretty much deserve the title, or at the very least a parking spot with “Reserved for The Slider King of The World” attached to it. One day. I can dream can’t I? 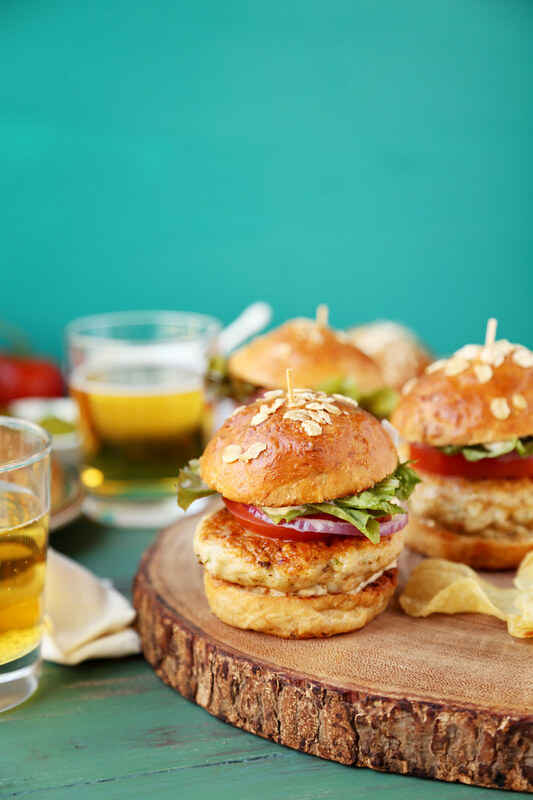 These Seafood Sliders are made with a mixture of fresh ground fish and shrimp, among other tasty ingredients, and are formed into small patties. I’d never ground up seafood before, and I have to admit that I was a little scared, but thankfully I survived! I need a t-shirt with that written on it. Anyhow, these fish and shrimp patties are the perfect vessel for tartar sauce, lettuce, tomatoes, onions, and pickles on a tiny bun. My favorite thing about sliders is that I can eat about three of them and feel like I can do anything in the world. Also, I love acting like I’m a giant holding a regular sized burger and I’m about to terrorize the city like Godzilla or something. Is that crazy? It’s probably crazier if I admitted to actually going around the house eating sliders roaring and stomping around like a monster. Not that I do that or anything. It’s all hypothetical. I’ll tell you what isn’t hypothetical, these sliders. I’ve never been the biggest fan of shrimp cocktail, but before you start coming after me with pitch forks and start doing voo doo on me, you should hear me out. I’ve got some good explanations for my line of reasoning. The main reason why I don’t care for shrimp cocktail is because I don’t like cold shrimp. In fact I hate cold shrimp. There’s something so weird to me about eating cold shrimp served over ice. Maybe I’m the weirdo. I know I know, that’s the way it’s supposed to be served and many people (like the entire world) really love shrimp cocktail no matter if it’s cold or not. More power to them. I just can’t handle it. Sorry mom. Don’t get me wrong though, if there’s cold shrimp at a buffet or at a party, I’ll be the first in line stuffing it into my pockets. Since I love the idea of shrimp cocktail and have always wanted to really enjoy it, I thought the best way to achieve such a feat (and overcome my fear of cold shrimp), would be to cook the shrimp and eat it warm. Roasted Shrimp Cocktail has since been my newest obsession and brings me the best of all the shrimp cocktail world. 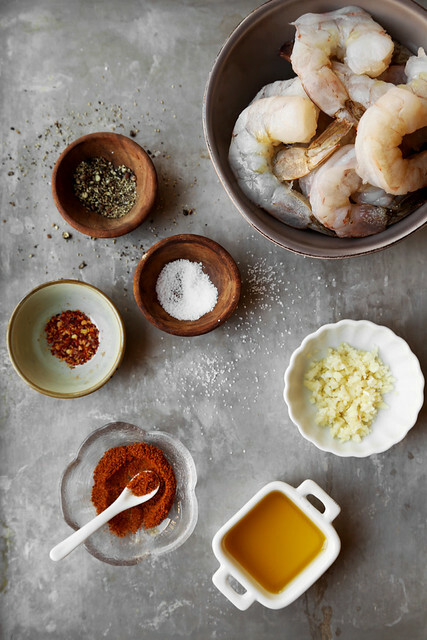 I like to serve it with not one but two sauces for dipping because to me, shrimp cocktail is all about the sauce. Cocktail sauce is very near and dear to my heart as a child because I used to eat it all the time with all of the breaded and fried shrimp. All of it. I was addicted to fried shrimp, still am, but because it’s not the healthiest of ways to eat it, I’ve settled for roasted shrimp cocktail instead. I’m sure my doctor is thankful for that decision. Continuing with our Seafood Week on the blog, I thought this recipe would be a great follow up to the Crunchy Fish Sticks from earlier in the week. Just as a recap, I wanted to do a Seafood Week because there’s a serious lack of fish dishes in my blog. My mamma wanted me to up my “under the sea” recipes and because my mamma always knows best, I thought it best to listen to her and get right on it. 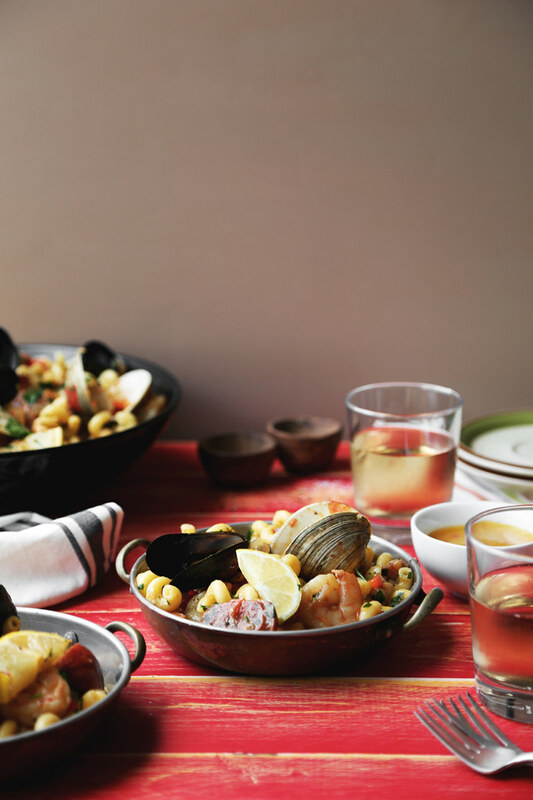 So here we are, two recipes into our awesome Seafood Week. I’m saving the best for last so stay tuned for the third and final installment on Friday. You won’t want to miss it. 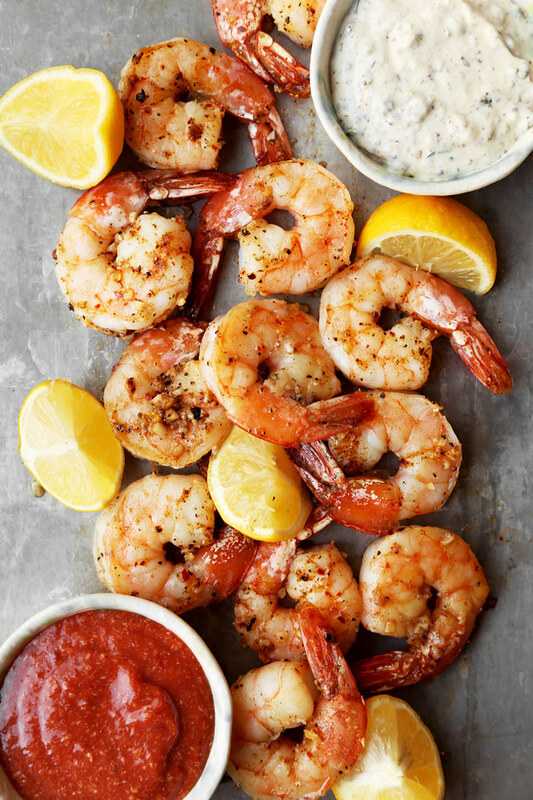 In the meantime let’s refocus on this roasted shrimp cocktail your new favorite recipe. Cross my heart and kiss my elbow. I have to admit that I hated fish sticks growing up as a kid. I wasn’t a fan, sorry mom. We had a lot of frozen fish sticks when I was a child. I think this was because my sisters really loved them and also because it was easy on my mamma who had to work a lot. 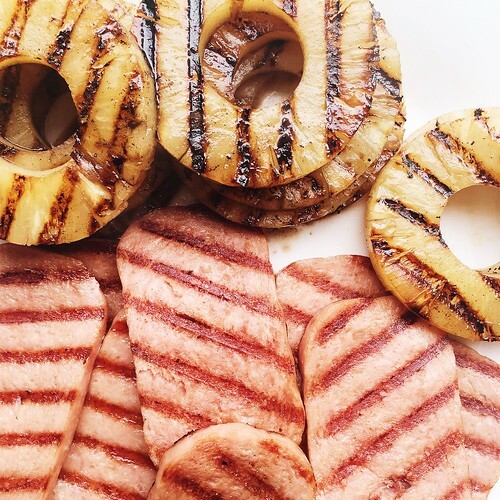 I’d have to drown them in lots of lemon juice and ketchup just to make them vanish from my plate quickly. Yes, I ate my fish sticks with ketchup, don’t judge me. I was a weird kid what can I say? My mamma usually served the fish sticks with a side of white rice. I loved the rice part of the meal. Always. I could eat rice every single day of my life. I’d more often than not eat the rice first and leave the fish sticks for last. That’s how much I despised them. The funny thing is that when I got older, in my late teens and early twenties, something inside me just switched automatically. I’ve since grown to love them actually. I still get a craving for frozen fish sticks every now and then and every time I eat them, they remind me very much of my childhood. My mamma likes to rub it in my face now, never letting me forget just how much I hated them as a child and how vocal I was about it. That’s what moms are for, right? Laying that guilt trip on us. Thanks mamma. 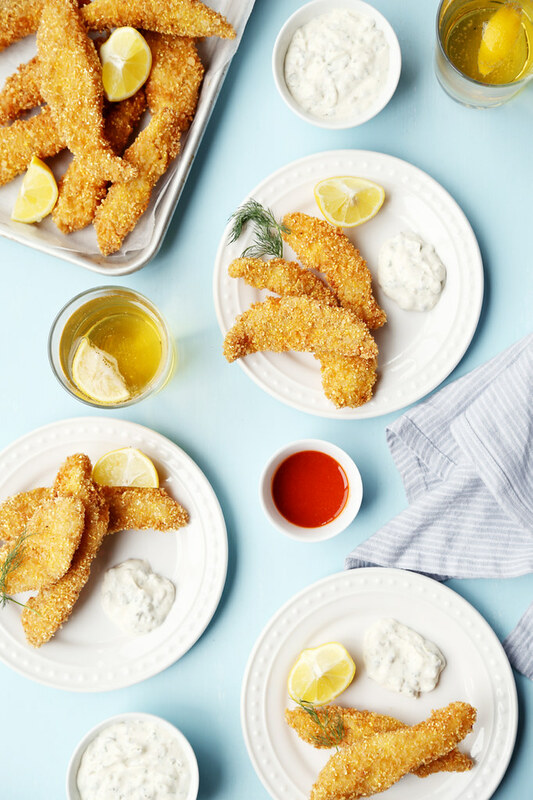 I thought these crunchy fish sticks were the perfect start for my Seafood Week on the site because of my history with them as a child, but also because they are easy to make and don’t require too many complicated steps. I also wanted to listen to my mamma’s suggestion of adding more seafood dishes to the site because she’s right, it is time, and yes a lot of people are searching for seafood recipes on Fridays, especially now because of lent. I realized that if my mamma is searching for seafood recipes then other people must be searching for them as well. I needed to fix it and spice things up on the site. So of course, as luck would have it. I’m now obsessed with fish sticks. Both the homemade version and the frozen variety I had and hated as a kid. Every now and then I’ll get a craving for frozen fish sticks though, and so I’ll buy a box from the freezer section of the grocery store and I’ll instantly think about the tantrums I’d throw as a child whenever I’d hear that fish sticks were on the menu. Of course now, I’m able to make them at home on my own so things are a bit different these days, but it’s still sort of the same thing. I’ve been whipping up batches of fish sticks and keeping them in the freezer at home for an easy dinner during the week. That way whenever I get a craving I just make a pot of rice and pour some ketchup into a small bowl for dipping—sure, I’ll make tartar sauce for dipping also, but somehow I can’t shake off the ketchup—and I’ll reheat my homemade frozen fish sticks and call it dinner. No regrets. So just in case you have the same love/hate relationship with these as I did, I thought I’d share my favorite recipe for Seafood Week. Stay tuned for the other recipes, they’re a bit healthier I promise. I just couldn’t resist a good fish stick fried until golden brown. Let’s eat more fish y’all! I’ve always wanted to make a paella for the site. It’s something I’ve had in the back of my mind for a while now. I’m a sucker for rice, in any shape or form. In any recipe, really. My motto is, the more rice the better. Serve it to me every single day for the rest of my life and I’ll be happy as a clam (pun intended). I began brainstorming recipe ideas this past week and for some reason paella kept popping up in my head. Perhaps it was a sign pointing me to make paella, because the time had come for me to finally make this recipe happen. It could’ve been a sign, but really if I’m being honest, it was my stomach doing all of the thinking because I really just wanted an excuse to eat paella this week. Go figure. Anyhow, there I was brainstorming when it hits me, “Jonathan! 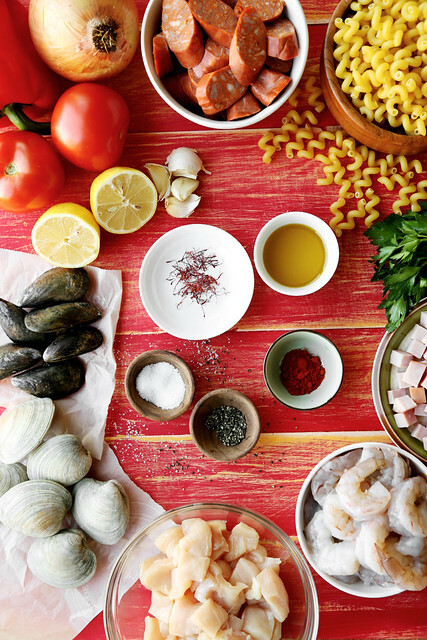 You should make a paella but create it with a twist because there are a million paella recipes already out there!” Just like that, that’s how it happened. Word for word, and I know what you’re thinking, yes I do talk to myself in first person. It’s what I do. Aside from talking to myself, I’d also like to point out the fact that it’s currently the third of November. The THIRD of NOVEMBER people!!! Where did the end of October go? This whole time change thing over the weekend has got me all sorts of confused. Sure it’s just one hour of a difference, but still, my mind is taking a bit longer to adjust. I don’t know what is what anymore. The only thing I am sure of is the fact that it’s finally getting chilly here in Los Angeles and all that means is that I get to eat more comfort foods that warm me up inside. Pasta is my favorite comfort food of all. Especially hot pasta baked with lots of cheese. Yes, I’m referring to mac and cheese. Why didn’t you just say that Jonathan?!!? What can I say, I like to be cryptic sometimes. Okay so this paella pasta salad isn’t served hot and yes I know there’s no cheese involved, so what’s so comforting about it? It’s no mac and cheese, that’s for sure. Well, it is a pasta dish loaded with all of the meats and all of the seafoods. What’s not comforting about that?!?! You tell me! What isn’t comforting about that, huh? Huh? Well? What have you got to say for yourself? This recipe is comforting because it’s pasta mixed with sausage, ham, chicken, shrimp, mussels and clams! It’s so filling that it should be illegal, but not really because I’d really like to eat this until the end of time, and I think you should too.